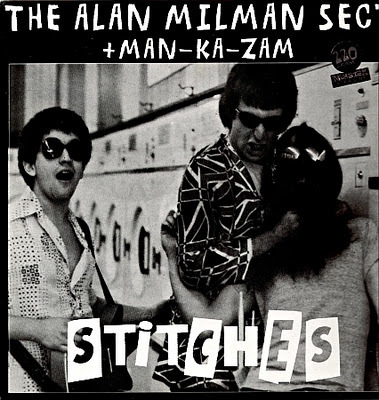 One of the first US Punk Rock releases, includes "Stitches In My Head/I Wanna Kill Somebody" which has been much written about (and semi-legendary) and much covered most notably by Urge Overkill. This EP features the first ever Punk Christmas song! Doug plays guitar and bass! 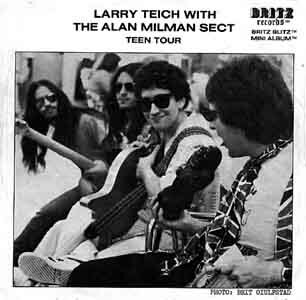 Also features 12 year old Larry Teich singing "Teen Tour". Featuring the rhythm section of Billy Goldman on bass and Rob Wise on drums. Doug and Alan left punk behind and embraced "New Wave" (whatever that meant). Taking their "parody" rock to a new level with songs like "Spankathon" (about a twisted high school gym teacher) and "Happy World". Doug's (background) singing debut! Also included is "Surf Rhapsody" which is "Rhapsody in Blue" to a surf beat! A Power POP Band! Featuring vocalist Joey Kelly, Scott Nevin "Killer" Schiller on bass and Rich "Starr" Stirrat on drums. 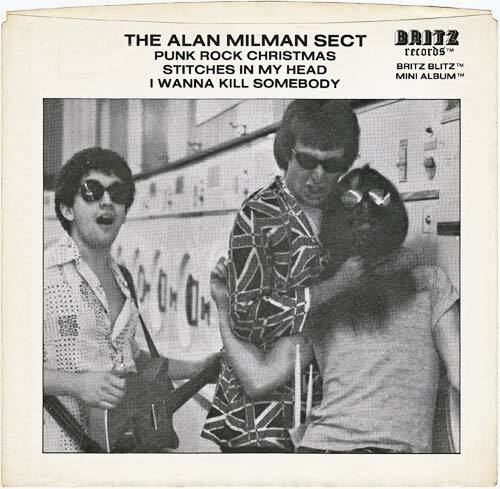 Their debut single got considerable airplay on New York's WNEW-FM by eccentric DJ Vince Scelsa, who played it everyday for a month in the summer of 1980. This record is much sought after by collectors of the genre. Special guest musicians on the Sheila recording session are Ronnie Guy on Elka Organ and the one and only Michael Brecker on Saxophone! 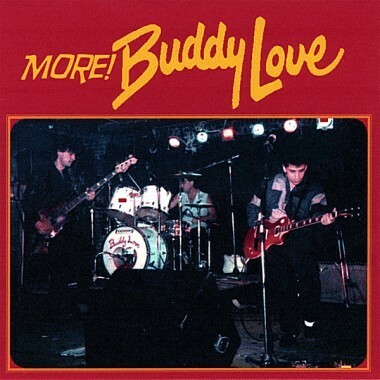 "The pseudonymous Buddy Love (Doug Khazzam, using a name borrowed from Jerry Lewis' Nutty Professor alter-ego) sang lead and played guitar on the exceptional Buddy Love, a charming and memorable pop/rock collection that knowingly mines a wide variety of sources, from '50s rockabilly to '60s Britbeat to '70s glam. Besides covering Gary Glitter ("Rock n' Roll"), Gene Vincent ("Who Slapped John?") and Buddy Holly ("Rave On") with straightforward skill, the group delivers sparkling pop originals like the ultra-catchy "Liar," "Why Can't We Make Believe We're in Love?" and "Dead Ringer." Virtually unknown, but great." In 1983 Doug Khazzam reformed Buddy Love from the ashes of 1982's version which disintegrated due to conflicts within (namely Alan!) with drummer Rich Stirrat (from the original 1980 single!) and new bass player Hugh Carroll. They continued to perform around NYC and Long Island with a tight, three part harmony sound more reminiscent of The Beatles than any other version of the band. They recorded this album in two four hour sessions with a no nonsense approach that outdid their previous DIY efforts, yet somehow went COMPLETELY IGNORED! 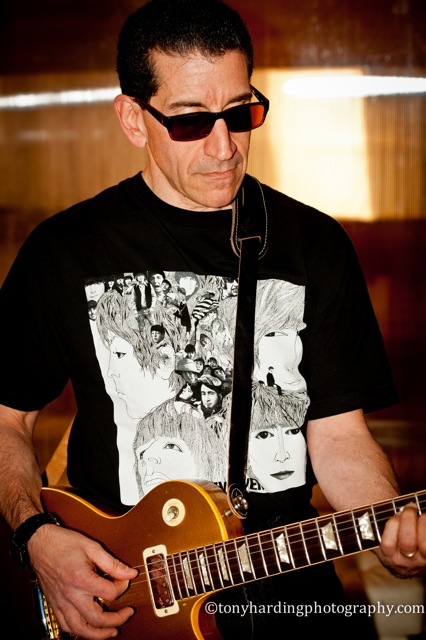 "This charming home-made project is a lo-fi pop treat filled with pretty melodies and a slightly haunting feel to it and the project of Buddy Love guy Doug Khazzam and Gary Feldman, who churn out some fine songs that sound at times Byrdsy, other times Beatlesy, always keeping their feet in the '90s but giving nods to their '60s influences time and time again. The harmonies are perfect, the songs are catchy and the atmosphere is more 'laid-back pop' than 'power pop' (although that probably changes when they play live). Over the course of this nine-tracker, you'll be tappin' your toes and singing along in no time. Heck, with song titles like "Strawberry Says" and "Pamela Please", how can you go wrong?" "The RC Flyers probably sound like something you've heard before, and it's not just because of who they're influenced by. Sure there's shades of the Raspberries and Elvis Costello, hints of the Ramones and echoes of the Flamin' Groovies. But the band also reflects the pasts of its members, who themselves were among those who formed the seminal Power/Punk Pop bands of the '80s, namely Breakaways and Buddy Love. With very nearly 20 years of Power Pop experience under their belts, the RCF effortlessly crank out catchy, harmony laden, chiming guitar-led songs with plenty of pop on top. Even when they sing sad-faced love songs, their glistening chords and optimistic vocals coat everything with a layer of beaming happiness. Other bands may wallow in "moping pools," but the RC Flyers skimmer along the top, refusing to be engulfed by sadness, and just far enough beyond its grasp to still feel the sun on their smiling faces." 27 years after the breakup of the original 1980 lineup, Doug, Joey, Rich and Scott reformed and recorded many of the same songs they performed live in 1980 as well as new songs written by Doug and are again performing in the NYC metropolitan area. Almost two years in the making this new CD represents a departure away from the DIY Power Pop that brought them their notoriety in the 1980's. Featuring the song "Crying Town" which has been described by one critic as "the Beatles produced by Jeff Lynne", the band demonstrates that becoming more mature adult contemporary rock artists isn't a bad thing! 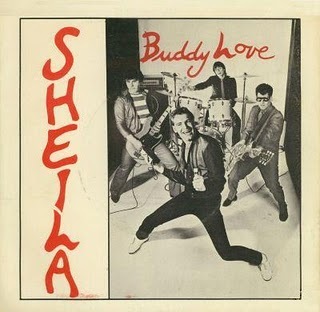 "These NYC power-poppers gained a lot of attention in the early ’80s with the Beach Boys-in-black-leather-jackets sound of their single “Sheila,” but things went awry rather quickly. Decades down the road, the original members of the band named for Jerry Lewis’s suave alter ego in the original Nutty Professor are back with a new album. Against all odds, it picks up right where they left off, with every ounce of energy intact, plus a well earned melodic maturity in tracks like the Badfinger-meets-Roy Orbison power ballad “Crying Town"." 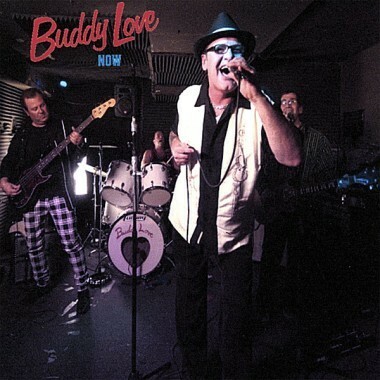 Buddy Love is alive and well in the new millennium!